Hawaiian monk seal - Monachus schauinslandi. Tagging operations conducted under the auspices of the Bureau of Commercial Fisheries. 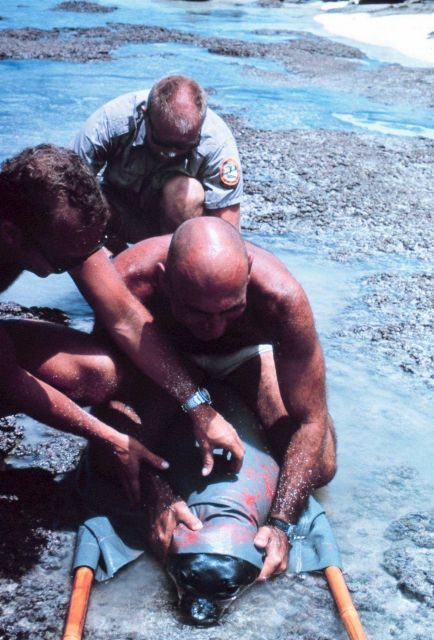 Techniques were being developed at this time as this was only the second time that any Hawaiian Monk seals were tagged. Other than for needs of scientific studies, human interaction with protected species should be minimized.